On arrival at Owerri, 13-year-old Daniel was separated from his family and sold to one Madam Peppe from Mbaise community for N300,000. 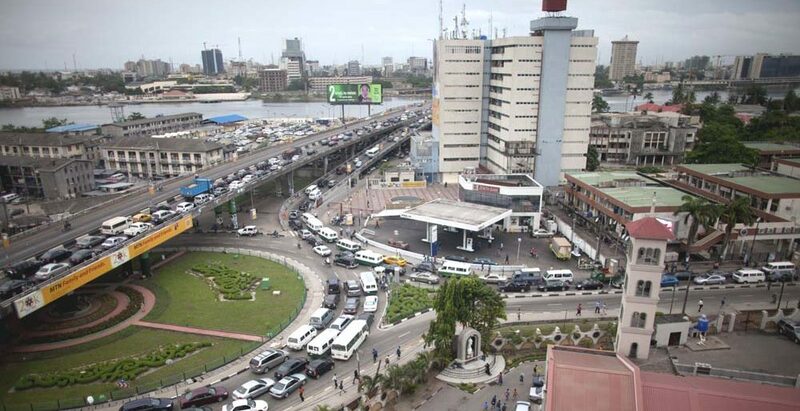 Uncertainties are still surrounding the whereabouts of Mrs Ngozi Nweze and her two children: Elochukwu and Wisdom, who were taken away from their abode on June 15, 2015, by their neighbour who sold them in Imo State. Until his recovery by the officials of the Ebonyi State Ministry of Women Affairs and Social Development recently, her first son, Daniel, was also part of the persons trafficked to the state and sold like a common commodity. The family hails from Umuezeoka community in Ezza North Local Government Area of Ebonyi State. The four were lured to Imo State on a fateful day by their neighbour, whose name was simply given as Amaechi. Before that fateful day, Sunday Sun gathered that life was hellish for the poor family of the Nwezes. The breadwinner of the family had kicked the bucket, leaving his young wife and three children, whose ages range from seven to 13, behind. To feed, the widow worked herself to the bones in order to raise money. And in all she did, helps appeared not to be coming from anywhere. There were a series of bills to pay, ranging from school fees to clothing the children. It was perhaps based on the obvious predicament of the family that their neighbour, Amaechi, allegedly lured them to Imo State with a promise to offer the widow a plum job through which she would be able to take care of her children. Like the proverbial goat that goes to the slaughterhouse, Ngozi prepared the family for the journey. And on a fateful day, they bid their villagers goodbye not knowing that they had set out for a precarious journey which return was uncertain. On arrival at Owerri, the Imo State capital, 13-year-old Daniel, was separated from his family as he was sold to one Madam Peppe who reportedly resides in Mbaise community in the same state for N300,000. But the business went sour when the boy sneaked out of his buyer’s house during a renaming ceremony reportedly staged for him by his buyers and ran into a team of mobile policemen on patrol. The Director, Child Development Department in the Ebonyi State Ministry of Women’s Affairs and Social Development, Mr Godwin Igwe, who had been on the matter confirmed the incident. He disclosed that the trafficker who also hails from the same Ebonyi community sold Daniel to the said Madam Peppe, noting that the whereabouts of the other family members remained unknown. “What happened was that a human trafficker hoodwinked his mother and two other siblings to Imo State and probably sold or gave them out to different people. “The story has it that the person who bought this Daniel Nweze organized a renaming ceremony. But as they were entertaining themselves lavishly, the child sneaked out. “In the course of running back home, he ran into policemen on patrol and they then took the child to an orphanage home in the state”, he said. Daniel’s uncle, Ven. Silas Nweze said that he got the message about the family’s disappearance a month after the incident happened. “It was in July 2015 that I got a message that some policemen from Imo State came to our place with Daniel. I rushed to Imo State to find out. So, when I got there, I discovered that the police kept him in their facility. “On inquiry, I was told that somebody in a nearby compound sold Daniel out to one Mr Solo from Mbaise in Imo State on one Eke market day together with his two siblings and mother. Mr Solo later sold Daniel to one Madam Peppe for N300,000”, he narrated. But a source who preferred anonymity gave a conflicting account. “It was Mr Solo that sold this boy to a woman called Madam Peppe. Then, they organized a party, as they said; to rename him, but the boy refused to answer the name and insisted on answering his real name. “The woman was shocked by his spontaneous rejection of the new name and she immediately demanded her money back. She accused Mr Solo of selling an ‘old man’ to her. She told him to come and take the boy back. “In the morning, Mr Solo came and an argument over the refund of N300,000 ensured between them. The boy, having eavesdropped on their argument, ran out of the house. “Incidentally, he ran into a team of mobile policemen on patrol. He took the police to the scene of the incident after narrating his ordeal to them. On getting to the scene, the argument was still on. “The police arrested them, but one week later, they were released. After they were released, Mr Solo ran away”, the source said. Receiving the boy in her office, the Ebonyi State Commissioner for Women’s Affairs and Social Development, Mrs Rebecca Ogbuewu, said that it took the ministry three years of consistent efforts to recover him from a motherless babies’ home where the police had sent him to. She said that when the mission to recover the boy became too tough for the officials of the ministry she had detailed to bring the boy back, she liaised with her counterpart in Imo State who assisted to ensure that the child was released to the Ebonyi State government. President Muhammadu Buhari has renamed Federal University, Ndufu-Ikwo, Ebonyi State to Alex Ekwueme Federal University, Ebonyi State. Vice President, Prof Yemi Osinbanjo, announced this during the burial service of the former late, Dr Alex Ekwueme at St John, The Divine Church, Oko, Orumba North Local Government Area of Anambra State. The Ebonyi State Commissioner for Health, Dr Daniel Umezuruike, on Friday, said that about 260,000 persons were infected by the HIV/AIDS disease in the state. Out of this figure, only 4,000 people, according to him, are currently living on drugs. The Commissioner disclosed this in his office in Abakaliki at a press briefing to mark this year’s World AIDS Day. He disclosed that a total of 3.4million are infected by the virus nationwide out of which 600,000 patients are on drugs. He further explained that 37.7 million people worldwide are living with the virus. This was even as he lamented that many people have not shown willingness to check their status to enable them embark on early treatment. “It is note-worthy to clearly state that testing positive is not a death sentence but the beginning of a new life. People have lived with the virus for over 40 years as long as you live positively. “Know your status and you will have the right to health which is the theme of this year’s World AIDS Day while concealing or not knowing your HIV status is your right to death” he declared. President Muhammadu Buhari has appealed to the people of South East region not to buy into the idea of Biafra being promoted by the members of the proscribed Indigenous People of Biafra (IPOB). He assured Igbo of fair share of his developmental projects next year, revealing that some key projects had already been designed for the region, especially in the area of road infrastructure, agriculture and social services, captured in the 2018 budget. Speaking at the Abakaliki Township Stadium, as part of programmes lined up for his one-day visit to Ebonyi State, President Buhari asked Igbo to work for the country’s unity, saying the agitation for the realisation of Biafra was “a senseless propaganda” being promoted by “some misguided youths” in the region. He said dividing the country across ethnic lines was tantamount to betraying the efforts of Nigeria’s founding fathers. “I am asking you all not to buy into the senseless propaganda on secession. Igbo is Nigeria and Nigeria is Igbo, both are inseparable. “We must, therefore, continue to commit ourselves to the development of Nigeria by sustaining our national unity without compromising our cultural identities, a Nigerian where the aspirations of its people is guaranteed without prejudice to tribe or religion, a Nigerian where we can sleep at night knowing that tomorrow will be better than today. “The task of nation building is a continuous one. Our founding fathers from all corners of this country worked together to actualise the creation of one Nigeria. After independence, the same founding fathers worked together to maintain this one Nigeria. “Yes, they had differences of opinion at times; after all, they were only human. And yes, they had moments of weaknesses and doubt, but again no one is perfect. However, one thing they all protected until the end of their lives was having one Nigeria for all Nigerians. Today, Nigeria is 57 years old. Nigeria has gone through many pains, but has also achieved significant successes. “Its citizens are leaders in all aspects of human development, but we rarely celebrate these successes. Some misguided Nigerians will rather channel their energies to propagating negative stories and senseless rumours. Over 68 per cent of Nigeria’s population is under 25 years old. They have little knowledge of Nigeria’s journey. They were not born during the dark days of the civil war and nation building afterwards. The task of nation building is a continuous one; it relies on the successful transition of factual knowledge from one generation to another. This means it is our collective responsibility to ensure we do not betray our founding fathers as we transfer the Nigerian project from one generation to the next. Also speaking earlier, when he addressed stakeholders, Buhari had said his visit to Ebonyi State was a demonstration of the belief in the unity of Nigeria. President Buhari expressed delight to be in Ebonyi State, noting that he was glad that the state has fared well. He praised Governor Dave Umahi for his developmental strides while thanking traditional rulers in the state for bestow on him a chieftaincy title. He said: “I am delighted to be in Abakaliki today to interact with the good of Ebonyi State and again with the South East region as a whole. I want to extend my gratitude to the people of Ebonyi State for their hospitality and the warm reception since my arrival a few hours ago. “I will like to commend His Excellency, Governor David Umahi, for his vision and commitment to the development of Ebonyi State, which included some of the projects I commissioned since my arrival. They are laudable. “You have helped us quite a lot, especially in the area of agriculture revolution and solid mineral. Today, you made us a giant in agriculture and so, we have here with us 2,000 bags of rice and 2,000 pieces to give to our president. “It is a prayer answered because you have sown in the land of Ebonyi and God has given you the strength and health to partake in that seed that you planted. 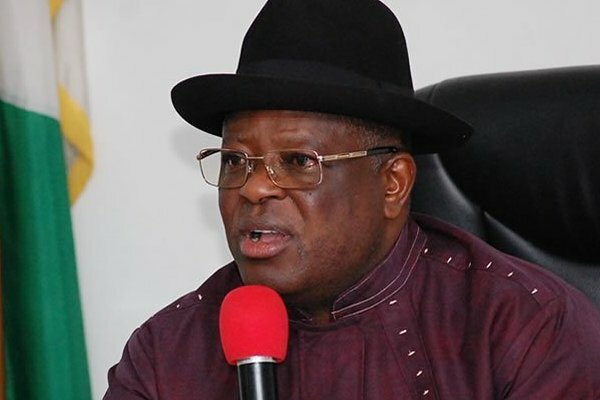 We are grateful to give back to our father who has given so much to us,” Umahi said. The Ebonyi State Government has declared support for the ongoing Nigerian Army exercise – “Egwu Eke’’, Python Dance II, in the South East zone. Governor David Umahi declared the support when he received the Chief of Army Staff, Lt.-Gen. Tukur Buratai. He, however, urged the army to keep to its rules of engagement. Represented by his Deputy, Dr Kelechi Igwu, Umahi noted that there was a misconception of the exercise by some people in the region. On the proscribed Indigenous People of Biafra (IPOB), Umahi condemned the activities of the group, saying “we do not address perceived injustice through violence’’.